Discussion in 'Events' started by Maggie, Oct 27, 2018. Favorite Pokemon (if applicable): Pikachu! What's your favorite part about Journey? : I love how fun the people and staff on the server are I also love the unique take on survival, with special events. Favorite Pokemon (if applicable): Ummmm if Pumpkaboo isn’t your favorite Pokémon are you even human? Pineapple on Pizza or ew? : Yes, wanna fight me on that Maggie? Favorite Pokemon (if applicable): hmm...bonsly? nahh, CLOYSTER ALL THE WAY!! Favorite Minecraft Mob/Monster: Polar Bears!! Favorite music genre: Heavy Metal! Pineapple on Pizza or ew? : Pineapples = yes...Pizza = YES...Pineapples on Pizza = eh, not really. Your dream Halloween Costume: Anything Overwatch Related, because Overwatch Rules! What's your favorite part about Journey? : To Sit and admire the glory of my beautiful Cloyster Queen, of course! But the community is by far my favorite part and why I've been on for almost 3 years now . Pineapple on Pizza or ew? : I respect those brave enough to eat it. I am not one of them. Favorite Scary Movie: The Dark Crystal. It's not a horror film but it's the scariest thing I know. 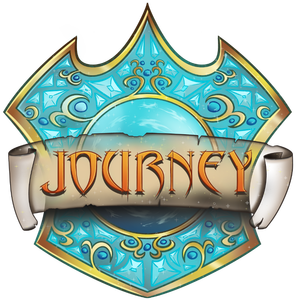 What's your favorite part about Journey? : The people <3 only been here 3 days but everyone is unbelievably friendly. Pineapple on Pizza or ew? : That's a good question, but ill say wynaut! Trick or Treat? : Treat -^-! Your dream Halloween Costume: Crossdressing, I've done it and it's hilarious because I make a great trap. Trick or Treat? : Why not both? But if I must pick, trick. What's your favorite part about Journey? : The people. Pineapple on Pizza or ew? : Yes! What's your favorite part about Journey? : Breeding the perfect iv pokemon as well as the community. Favorite Pokemon (if applicable): Alolan Vulpix! Favorite Scary Movie: Does Jurassic World count? Favorite Pokemon (if applicable): Magikarp. Favorite music genre: Heavy Metal. Pineapple on Pizza or ew? : Ew. Your dream Halloween Costume: Riddik. What's your favorite part about Journey? : Maggie. Prizes have been given out by the time this post is up! Everyone has gotten different rewards, but for Pixelmon related entries, everyone gets a Spookey, 15 Rare Candies, and a Shiny Pokemon! Anyone on survival get several keys too! Congrats to everyone!